Along the way, we launched a camping directory where we add all of our campsites so other travellers can follow along. We’ve got no plans of stopping and are learning and loving new things every day. 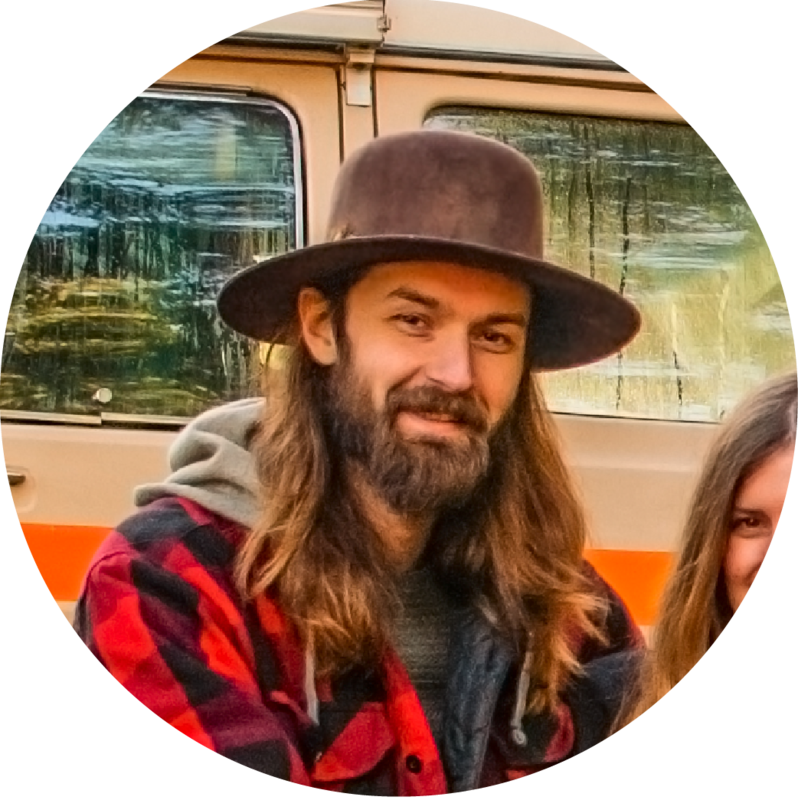 Justin was born in and around St. John’s, Newfoundland and spent most of his childhood becoming an expert campfire-maker and rock-skipper before spending his teenage years in Calgary, Alberta. Justin launched his own web development company in 2007 and has also toured Canada several times as a musician. He later moved to Toronto where he continued to design and code while working in the music industry. 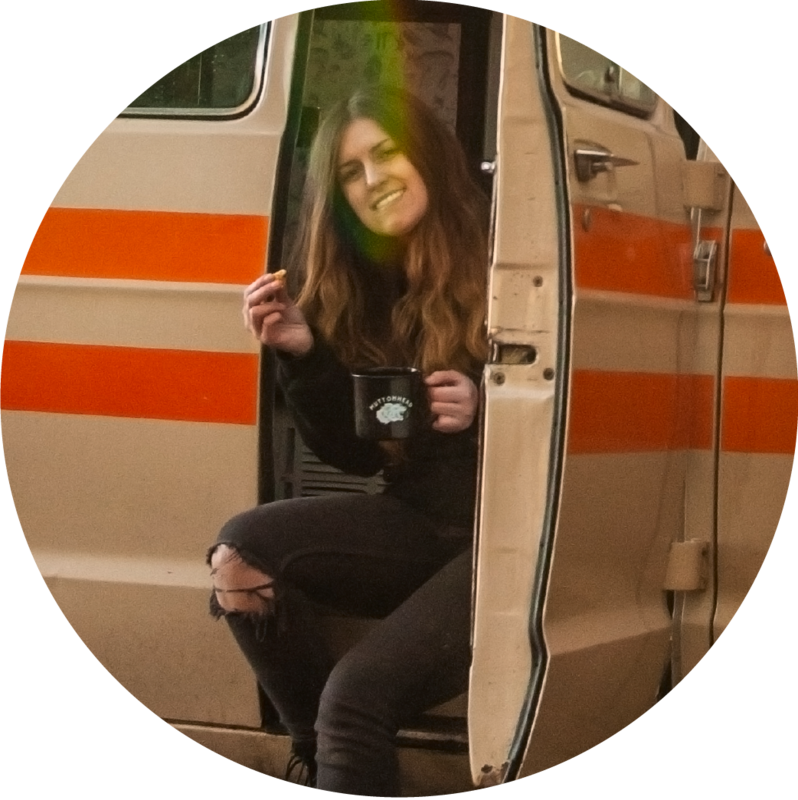 Olivia was born and raised in the ‘burbs of Toronto, Ontario where she was surrounded by people from all over the world and instantly knew she wanted to make travel a priority. She spent her days slinging drinks to fund international expeditions before returning to Toronto to work in the fashion industry. She gradually started to step away from the studio and focus more on graphic design, which has allowed her to join forces with Justin and grow their web development company. 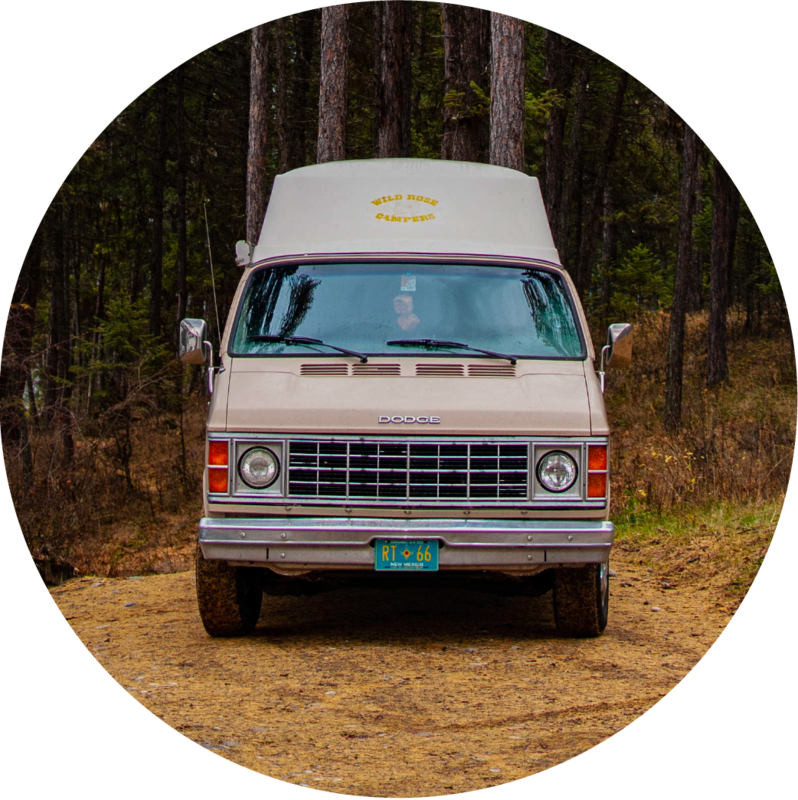 Clementine is a 1984 Dodge B250 from Edmonton, Alberta. She was born before the days of fuel injection and power windows and is full of unique quirks. 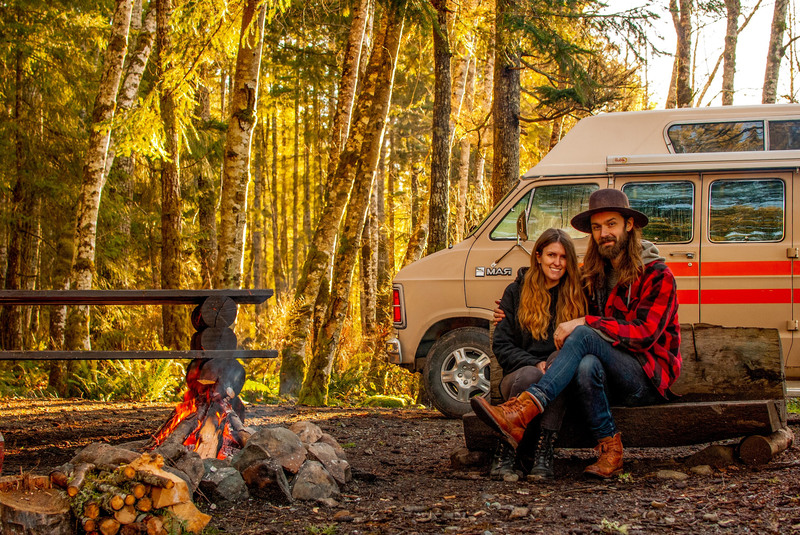 She didn’t spend long as a regular cargo van before being converted to a camper by a now defunct company called Wild Rose. She’s had her share of “health issues” on the road but has been a trusty companion to Justin & Olivia since fall 2017. With a steady diet of gas and oil, she proves to be pretty tenacious for an old bitty.